Faculty & Staff: Thank You! Academic Obligation: Monday, August 20, 2018 through Thursday, May 31, 2019. Take advantage of professional and leadership development opportunities, with specific development offerings for faculty, through the Professional Development Center. 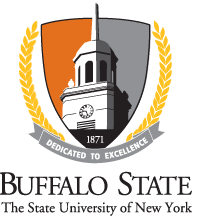 With a diverse array of undergraduate and graduate programs, SUNY Buffalo State offers something for every student. Each year, more than 10,500 students pursue engagement, excellence, and social responsibility through their educational experiences. If you are ready for a challenge and are willing to work hard, we would love to have you join our community.